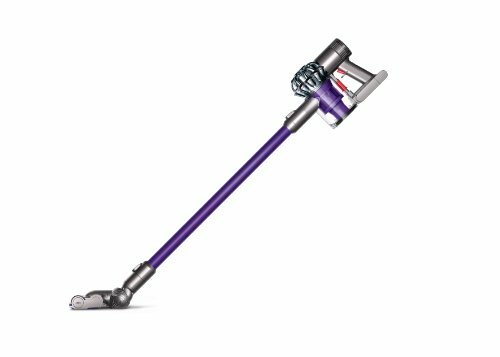 Dyson DC59 Vs DC59 Animal - What's the Difference? If you are interested in getting hold of the new Dyson cordless DC59 (Digital Slim Mark III) stick vacuum, however are unsure as to whether to get either the Multi-Floor or Animal version -- then this is the right place for you (to get an answer quick over the differences between the two-- skip to the section 'DC59 Multi-floor Vs Animal' just below). But to firstly give you a brief overview of what the DC59 vacuum offers-- it is basically an ultra lightweight (2.3 kg) cordless upright vacuum that is integrated with Dyson's very latest technology such as: the two-tier radial cyclone technology (allowing it to generate incredibly high centrifugal forces that creates powerful suction potential), re-configured cobalt battery (which allows an extra 50% worth of power on top of that of the predecessor's 22.2 volt lithium ion battery) & very latest edition of the Dyson Digital Motor (V6 which is more powerful & efficient -- offering 350 wattage -- than any other Digital Slim motor) -- all this has allowed it to offer a suction power (on its boost mode -- where it applies 70% more power for particular tough patches) of just under 100 AW -- meaning it rather incredibly offers the same suction power as that of a "corded vacuum" (for instance it has a similar cleaning performance as that as the DC24 upright model). It has been designed with 'practical' & 'ergonomic' use at the forefront -- hence it offers a weight distribution centralised around the handle allowing the user an added sense of lightness & balanced control whether you are cleaning either high (e.g. curtains, ceilings etc.) or low (making it ideal for the elderly & those with mobility issues). With regards to the run time of the DC59 it can last up to ahuge 26 minutes on standard mode (due its non-trigger mechanism) & with 20 minutes on constant suction & 6 minutes on the boost mode (with it taking approximately 4 hours to fully charge from dead -- in the wall mounted docking station that comes with the DC59, which also keeps it nicely stored away) with it also coming with an LED indicator stating the condition of the battery. Moreover, it has the incredibly useful feature of being able to be manipulated into a handheld vacuum (very much like that of the Dyson DC58) through removing the wand & attaching the crevice tool to the handle -- allowing you to perform intricate cleaning jobs such as vacuuming in the car & stair way etc. (in addition to the combination crevice tool which essentially allows it to 'power dust', you get a stair tool also). The difference between the versions of the DC59 is simply that the Animal version gets an extra attachment. Where the DC59 Mulit-floor comes with the following accessories: the combination tool & stair tool -- the DC59 Animal comes with the combination tool, stair tool as well as the mini motorised turbine tool. What is the mini motorised turbine tool? It is basically a specially engineered attachment that has been designed for efficeint & effective pick up of pet hair. Hence, the only significant reason you would opt for the Animal version of the DC59 over the Multi-floor version is if you have a pet hair problem in your household. The only other change between the two versions of the DC59 is the skin body colour -- the Multi-floor comes in blue/all silver and the Animal comes in a purple & silver mesh. Apart from these two aspects -- there are literally no differences between the two versions: they are both the same size (dimensions: 36.9 x 26.2 x 50.7 cm), possess the same power, same battery, same weight etc. The only reason the Animal version is slightly more expensive than the Multi-floor version is simply due to it coming with the extra attachment. Should I Buy a Multi-floor or Animal version? Simply put, if your household doesn't have a pet hair problem then you are more than fine to go with the basic multi-floor version of the DC59 and if your household does then it would be wise investing an extra $50 or so for the Animal version. 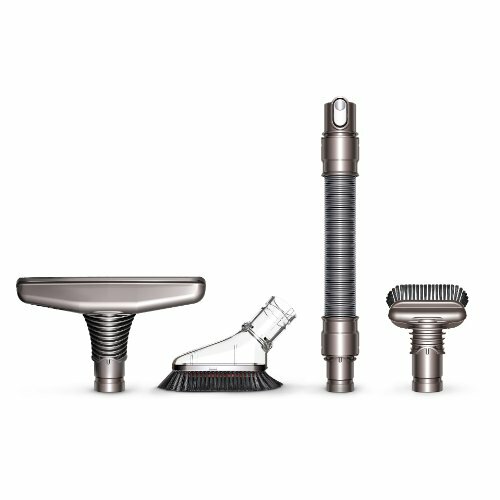 Also, if you want to improve the functionality of your Dyson DC59 even further then I recommend that you take a look at the highly 'Dyson Cordless Tool Kit' bundle where you get a specially designed & engineered stubborn dirt brush (which is basically intended for removing dug in dirt stains within soft flooring), soft dusting brush (for cleaning delicate surfaces & areas without fear of damaging them through scratches etc. ), wide nozzle tool (for faster & more effective cleaning) as well as an extension hose (to basically just give you an even greater reach with your DC59). If you are still hmmm-ing and arrr-ing as to whether to get a DC59 as you are unsure of its use (and whether you actually 'need' one), I have too felt your mild anguish, but after getting a hold of one I can say they are definitely worth it. I liken them very much to the iPad in that before you have one you are pretty unsure as to what you are really going to use them for & you don't really need one? But it is only when you have one does it all start to make sense rather quickly -- whereby they offer you 'convienience' with speedy, easy & effective cleaning. Granted I don't need a DC59 but certainly makes my cleaning life hella' lot easier. But which version of the DC59 will you choose and why? Also, if you have any questions, comments or concerns either regarding the comparison article: DC59 Multi-floor Vs DC59 Animal or about either version of the Digital Slim Mark III then please do not hesitate to make them in the comments section that you will find just below and we will be sure to get back to you as soon as possible.